Very close to the harbour with lots to see for the kids. We had to change apartment as the street view ones are very dark. Got transferred to Promenade view which was lots better. Arranged this trip for our friends 40th Birthday the apartment was amazing and just what we were looking for. We had a lovely rooftop bar above our apartment which was fabulous. Fantastic location in the heart of PB. Minutes from marina and town. The view from the Sky bar is amazing and I could have sat there all day ! Staff were very friendly and helpful. Car parking on site. Cafe and spa. Good base for Puerto Banus. Bar on the roof was a nice touch. In the summer I could imagine it’s fantastic! The “apartment” size was excellent and really took me by surprise. It’s was a perfect location - with amazing views from many different aspects. Great location and great value this time of year March. Location, space, views & friendly staff. Great new viewing skybar. Lock in a great price for Benabola Hotel & Suites - rated 8.1 by recent guests. 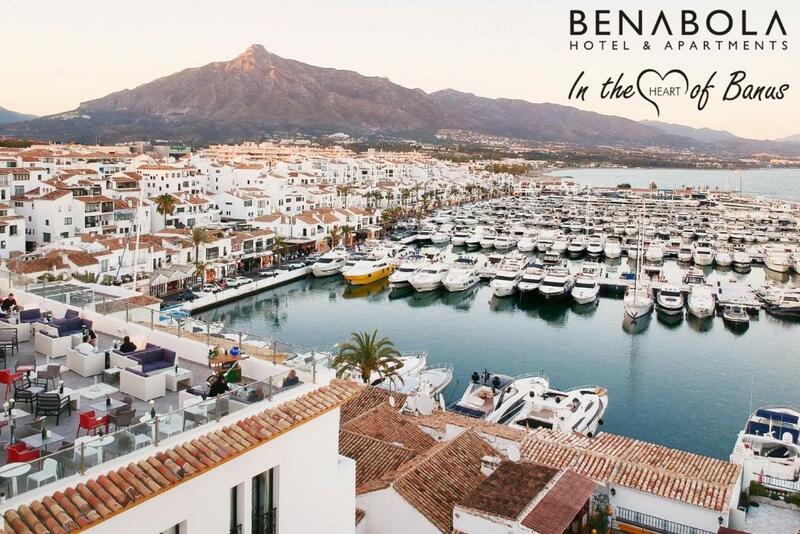 One of our top picks in Marbella.Benabola Hotel & Suites features stunning views of Puerto Banus harbour and the Mediterranean Sea. It offers air-conditioned and stylish hotel rooms and spacious 1, 2 and 3 bedroom apartments. 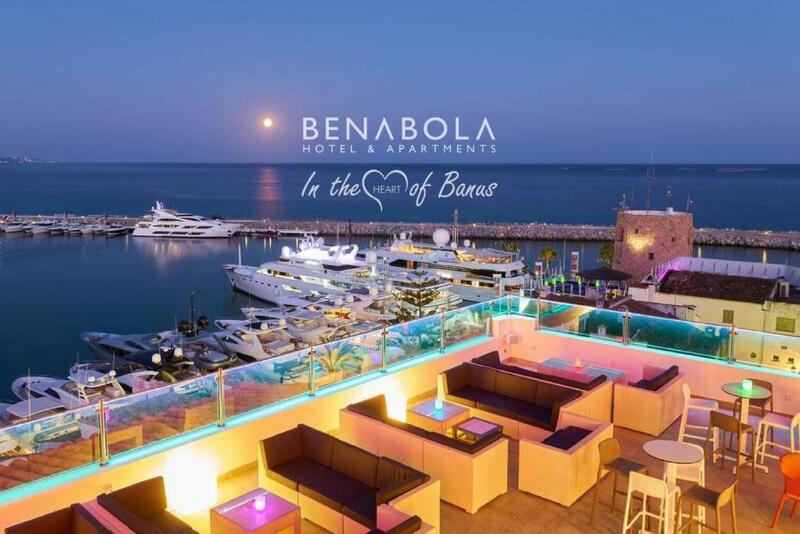 Benabola Hotel & Suites offers a bar, a restaurant and a 24-hour reception. 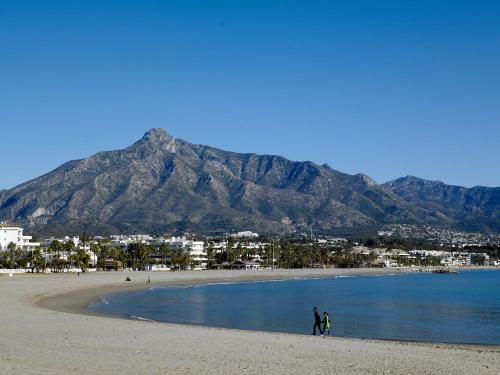 Puerto Banus features a variety of glamorous boutiques, leisure facilities and a fantastic nightlife. 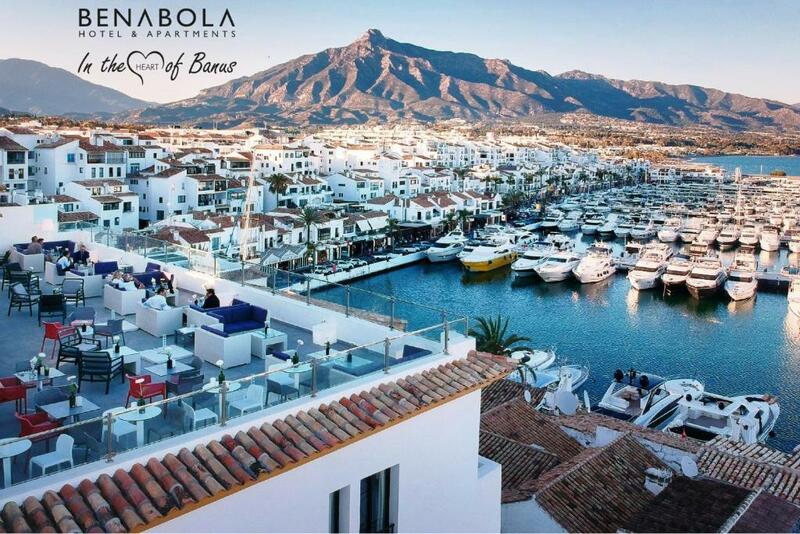 Located in the centre of Puerto Banus, Benabola Hotel & Suites is 4.3 miles from the centre of Marbella and 40 minutes' drive from Málaga Airport. 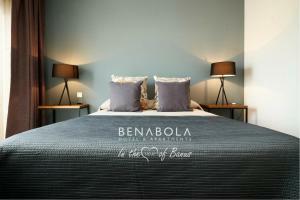 Benabola Hotel & Suites has been welcoming Booking.com guests since 20 Jun 2012. 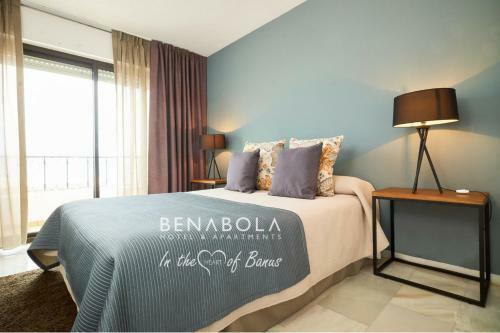 When would you like to stay at Benabola Hotel & Suites? Offering side street views, this air-conditioned room features a TV, safe, mini fridge and a private bathroom. Please note that extra beds or cots are not available in this room. Offering side street views, this air-conditioned apartment has a spacious living-dining area with a sofa and satellite TV. There is also a private bathroom and a kitchenette with a fridge. Offering side street views, this air-conditioned, 2-bedroom apartment has a furnished balcony. The seating area includes a sofa and satellite TV. It also has 2 private bathrooms and a kitchenette with a hob and a fridge. Please note that this apartment features 1 double room and 1 twin room. Offering side street views, this air-conditioned, 3-bedroom apartment has a furnished balcony. The seating area includes a sofa and satellite TV. It also has 2 private bathrooms and a kitchenette with a hob and a fridge. Please note that this apartment features 1 double room and 2 twin rooms. This air-conditioned, 1 bedroom apartment offers a furnished balcony with views of the port. The seating area includes a sofa and satellite TV. There is also a private bathroom and a kitchenette with a hob and a fridge. This air-conditioned, 2 bedroom apartment offers a furnished balcony with views of the port. The seating area includes a sofa and satellite TV. It also has 2 private bathrooms and a kitchenette with a hob and a fridge. Please note that this apartment features 1 double room and 1 twin room. 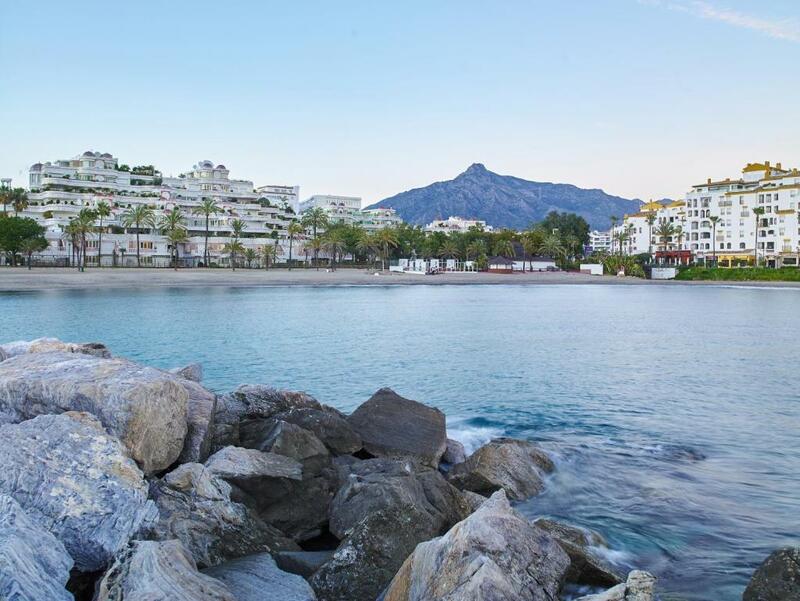 This air-conditioned, 3 bedroom apartment offers a furnished balcony looking onto the port. The seating area includes a sofa and satellite TV. It also has 2 private bathrooms and a kitchenette with a hob and a fridge. Please note that this apartment features 1 double room and 2 twin rooms. This air-conditioned, 1 bedroom apartment offers views of the promenade. The living-dining area includes a sofa and satellite TV. There is also a private bathroom and a kitchenette with a fridge. This air-conditioned, 2 bedroom apartment offers a furnished balcony and views of the promenade. The seating area includes a sofa and satellite TV. It also has 2 private bathrooms and a kitchenette with a hob and a fridge. Please note that this apartment features 1 double room and 1 twin room. This air-conditioned, 3 bedroom apartment offers a furnished balcony looking onto the promenade. The seating area includes a sofa and satellite TV. It also has 2 private bathrooms and a kitchenette with a hob and a fridge. Please note that this apartment features 1 double room and 2 twin rooms. 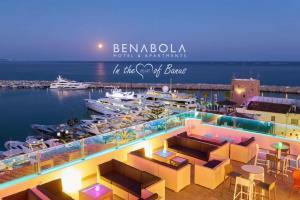 The Benabola Hotel & Suites offers stunning views over Puerto Banus (Banus harbour) and the Mediterranean Sea. It offers air-conditioned and stylish hotel rooms and spacious 1, 2 and 3 bedroom apartments. Each room & Suite comes with satellite TV, mini fridge and a private bathroom. Most Apartments at Benabola offer a balcony, and all have living room area with satellite TV, kitchenette with a hob and a fridge. Free WiFi available in rooms & suites; also in breakfast room, sky lounge and reception area. High speed access can be purchased on arrival. In the Café Benabola and Sky Lounge you can taste nice breakfast and sip an amazing cocktail. We offer a 24-hour reception. Pre order drinks & snacks to await you in your Room upon check-in. 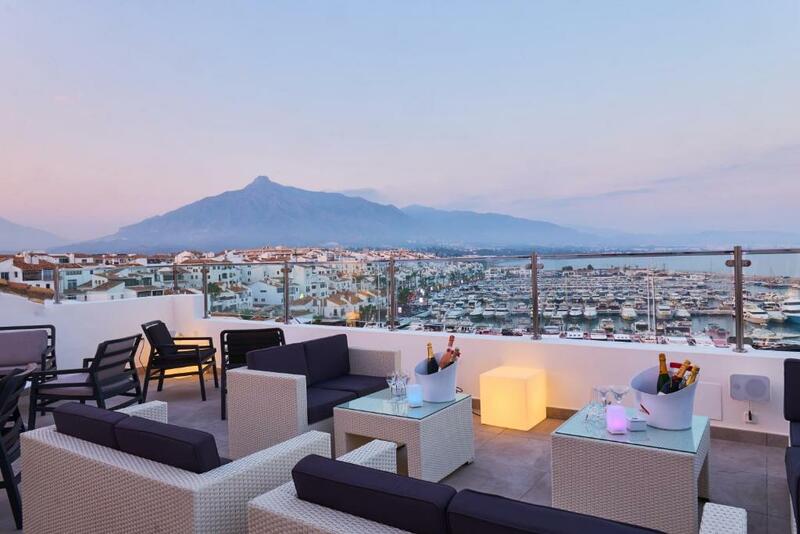 Puerto Banus features a variety of glamorous boutiques, leisure facilities and a fantastic nightlife, located in the centre of Puerto Banus. Benabola Hotel & Suites is 6 km from the centre of Marbella and 45 minutes’ drive from Málaga Airport. Not very far away from other places of interest like Ronda and Mijas. House rules Benabola Hotel & Suites takes special requests - add in the next step! A damage deposit of EUR600 is required upon arrival, which is about GBP518.55. This deposit is fully refundable 7 days after check-out as long as there has been no damage to the property. Benabola Hotel &amp; Suites accepts these cards and reserves the right to temporarily hold an amount prior to arrival. Benabola Hotel & Suites accepts these cards and reserves the right to temporarily hold an amount prior to arrival. A damage deposit of EUR 600 is required on arrival. That's about 518.55GBP. This will be collected by credit card. You should be reimbursed within 7 days of check-out. Your deposit will be refunded in full via credit card, subject to an inspection of the property. Please inform Benabola Hotel & Suites in advance of your expected arrival time. You can use the Special Requests box when booking, or contact the property directly with the contact details provided in your confirmation. Very noisy at night and beds were very uncomfortable. Not sure the mattress has a spring left in it. The guest rooms were old and could use updating, linens were worn but it was comfortable and a great value. Breakfast was great, location was wonderful, parking was easy! The location and views are amazing as are the staff etc as mentioned above. I must admit that our apartment was very outdated and in urgent need of updating. Second W/C didn’t flush that well but it’s not the end of the world. As it didn’t flush that good it would make noise constantly as the water kept replenishing nonstop. They don’t have smoking rooms. The room was outdated and not 4 star worthy. Location was perfect and great rooftop terrace.